I’ve been writing about allergies and your Morkie. inhalants – stuff your dog breathes. This is by far the biggest cause of your Morkie’s suffering. fleas – they’re annoying and horrible at the best of times. But if your Morkie is actually ALLERGIC to that flea bite, the results are many times worse. food allergies – this one is easier to control and fix. 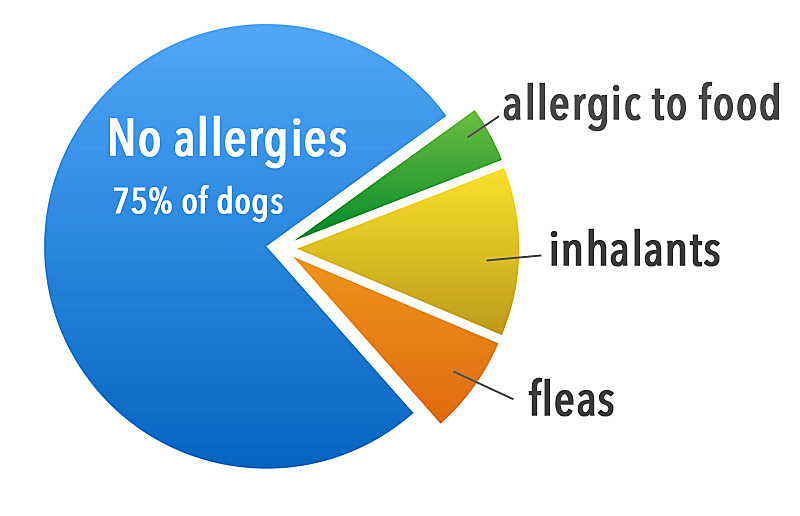 Of these three main categories, food allergies represent about 10% of all dog allergies. How do I know it’s a food allergy? Food intolerance is different from an actual food allergy. With intolerance, the response is almost right away; food allergies can develop over time. A food that was fine a month ago, can suddenly be the culprit in your Morkie’s allergy. Expect almost anything, from chronic ear inflammation, gastro problems including chronic diarrhea and vomiting (less common), a poor coat, chronic gas, licking the feet, or an itchy rear end. Overall itching is the most common sign of a food allergy. To find out what your dog might be allergic to, experts recommend the elimination diet. That means trying a food that has a different meat source AND a different carbohydrate or grain. You have to test them one at a time however, to be sure which one is the problem. The most common problem foods are beef, dairy and chicken. The most common cause of food allergies in dogs: beef, chicken and dairy. To test, change the protein source of your Morkie’s regular food (for example, beef to lamb). If that doesn’t work after about 8 weeks, then change the source of carbohydrates (for example, rice to sweet potato). But first, to identify the meat source and change it, you must pick a quality food that identifies the protein source right on the label. Dog food that says “meat meal” or “meat by-products” can be made from many different sources of meat (and any parts of the animal) so it’s very hard to identify the problem. This is a lengthy process and a bit tedious, but it is worth the work. First, record everything your Morkie eats now (while still suffering from allergies) and don’t feed treats, chews or table scraps. Then change his diet. Start the program by feeding one protein source your dog hasn’t had – could be lamb (although many dogs have had lamb and rice food now) or something more exotic like duck, whitefish, salmon or kangaroo. Feed this elimination diet #1 for 8 to 12 weeks. You’ll see at the end of that period, of your Morkie has improved. If not, move on to elimination diet #2. For elimination diet #2, use the same new source of protein, but change the carbohydrate. You could try a different source, such as sweet potato. Keep doing this until you think you’ve identified the problem food. Once the allergies have cleared up, double check that you’ve found the problem. This is called the challenge diet. 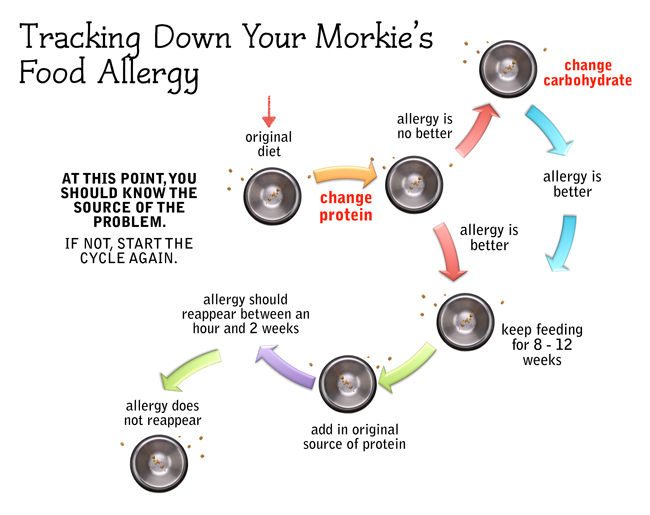 After your Morkie’s allergies seem to have disappeared, add a little of the original protein source to his new food. Allergic symptoms (which can take anywhere from an hour to two weeks to reappear) confirm that this is the problem. If he doesn’t have an allergic reaction, then don’t add any more of the original protein to his new diet. Instead, add some of the original carbohydrate source. If the allergy reappears within 14 days, then you know for sure that this is the problem. Now you know definitively that your Morkie is allergic to a particular protein source and carbohydrate source, and can work around those in your feeding. Are Morkies more prone to food allergies? No, the good news is that their parents, the Yorkshire Terrier and the Maltese dog, are NOT overly sensitive breeds. 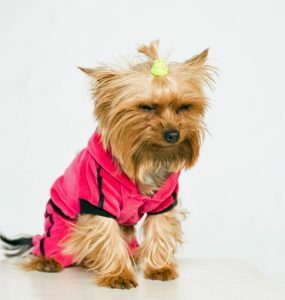 Allergy-prone breeds include Golden Retrievers, Labs, English Setters, a number of terriers including Boston, Cairn, Fox and West Highland White (but not Yorkshire Terriers). Other allergy-prone breeds include the Beagle, Bichon Frise, Dachshund, Lhasa Apso, Shih Tzu and Poodle. Although Maltese dogs do seem to be a little more sensitive, they’re nowhere near the top of the list of allergy-prone breeds. As you search for the cause of your Morkie’s allergies, check in with your Veterinarian who can be a great help to you.